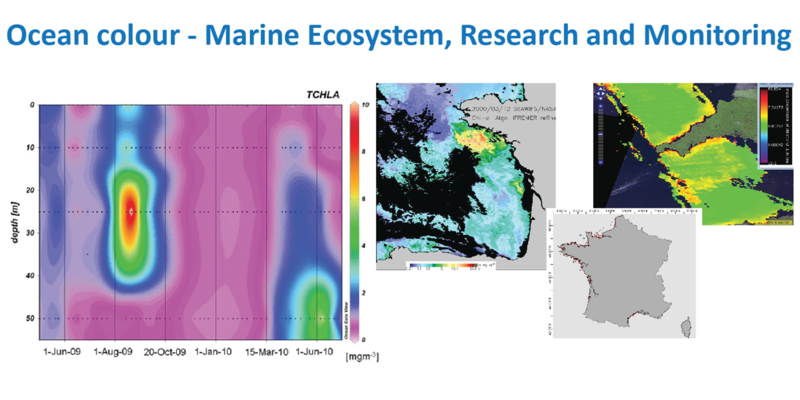 The NETMAR project has developed a pilot European Marine Information System (EUMIS) for searching, downloading and integrating satellite, in situ and model data from ocean and coastal areas. It is a user-configurable system offering flexible service discovery, access and chaining facilities using OGC, OPeNDAP and W3C standards. It uses a semantic framework coupled with ontologies for identifying and accessing distributed data, such as near-real time, forecast and historical data. 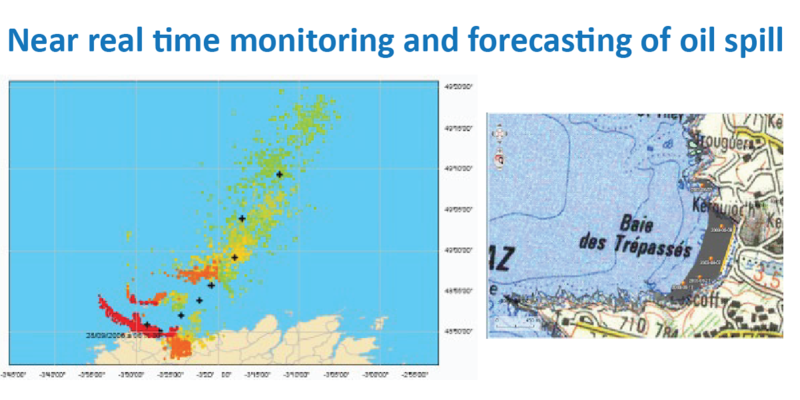 EUMIS also enables further processing of such data to generate composite products and statistics suitable for decision-making in diverse marine application domains. The figure below illustrates how observations, derived parameters and predictions are retrieved from a distributed service network through standard protocols, and delivered through the EUMIS portal using ontologies and semantic frameworks to select suitable products and where new products can be generated dynamically using chained processing services. 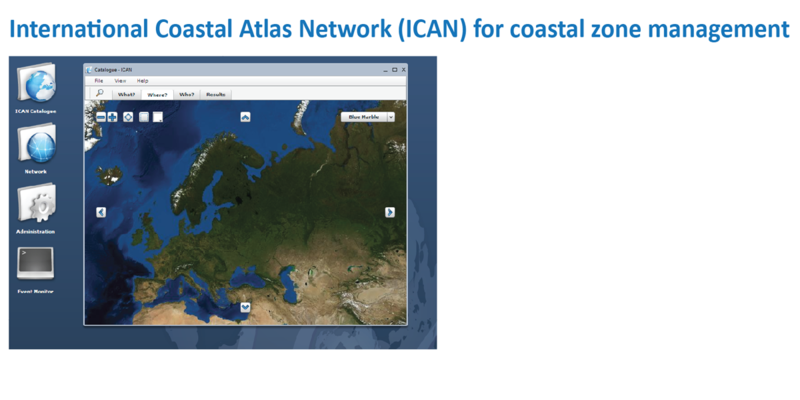 The paper Putting meaning into NETMAR the open service network for marine environmental data describes the development of two semantic resources for discovery and validation of Web Processing Services and to support interoperability of coastal web atlases. The paper addresses both the formal representation as well as the tools and methods used to develop these semantic resources. Yassine Lassoued, CMRC, presented the NETMAR semantic framework and CSW Mediator at EUROGI 2013. See the slides here. AGU 2012, 3-6 December, San Francisco, USA. See the poster here. Stein Sandven, NERSC, presented NETMAR at the Arctic ROOS annual meeting in Sopot, Poland, on November 7.